Galveston Criminal Defense Attorney James (Jim) Sullivan is an experienced defense lawyer. As a Galveston Criminal Lawyer, Jim Sullivan has successfully fought the government in Jury Trials on behalf of clients in criminal and juvenile courts since 1994. He has a proven record of defending people from all walks of life, faiths and countries in courts throughout Texas. The law practice of Jim Sullivan is devoted solely to criminal and juvenile defense. Jim Sullivan has tried many cases in the criminal and juvenile courthouses. Approximately half of his cases involve criminal charges while the other half involves juvenile charges. If you are under investigation or have been charged with a crime or delinquency, call Montgomery County criminal defense attorney Jim Sullivan to discuss your case. Jim Sullivan generally tries to answer his own phone so that you can speak to an attorney directly. He wants to hear from you and to help you. Call him right now. Don’t go to court alone. To schedule an appointment or to discuss your case, call (281) 546-6428 right now. 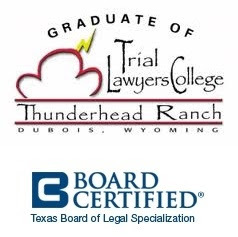 Galveston Juvenile Attorney Jim Sullivan is Board Certified in Juvenile Law by the Texas Board of Legal Specialization. Juvenile law is different than criminal law.